The Coincheck exchange is a popular bitcoin wallet and trading platform that allows peer-to-peer trading. Coincheck exchange is one of the biggest crypto exchanges in all of Japan. This puts it in an interesting position, because there simply aren’t many alternatives (especially affordable alternatives) for cryptocurrency buyers in Japan. Unfortunately, with great power comes great responsibility and Coincheck recently made a major goof and lost more than half a billion dollars in NEM. Coincheck has apologized and promised to return the funds to the affected users. The question is: can Coincheck recover from this, or has the damage already been done. This is, after all, a loss greater than that off Mt. Gox. We’ll take an honest look at Coincheck exchange and let you know whether we think it’s safe, or whether you should stay away. For those not ready to jump aboard Coincheck, we recommend Binance. Coincheck is a successful cryptocurrency exchange based in Tokyo, Japan. The company was recently acquired by a large Japanese venture capital firm following the major Coincheck hack, seeking to expand the company and capitalize on the ongoing cryptocurrency craze. Coincheck accepts payments in Japanese Yen, making it a significant fiat onramp for Japanese citizens. What’s more, Japanese citizens trading less than $500 don’t even need to verify identity, making this a great option for anonymity. Coincheck supports a variety of cryptocurrencies. As of this writing, Coincheck is in a precarious position. Refunds for hack victims have started, and the company is not currently accepting new user registrations. Will Coincheck rise from the ashes? Find out more so you can answer that question for yourself. When you go to create your first Coincheck login, you’ll be greeted with this screen. Coincheck apologizes to all of their users who lost funds in the recent hack, and you also learn that new registrations have been suspended. This means, you guessed it, you can’t create a new account with Coincheck exchange at present. The suspension is listed as “temporary”. And while this is not very specific, this and the recent acquisition raise hope that Coincheck will recover. However, because there is little information about the internal workings and updates of Coincheck, especially for Western users, we wouldn’t recommend going out of your way to create an account. If you were to create an account (maybe you have a cousin who works at Coincheck), the internal pages of the site look like the following images. The first is what the exchange looks like for Japanese users. Of course, Western users (once confirmed) can view the site in English and several other languages. Notice the simple layout and non-flashy graphics. Coincheck has simple design that makes it easy to use for a variety of investors. Even if you didn’t know Japanese, you might be able to find your way around, especially you have experience with similar exchanges. Here’s what the site looks like for English-speakers. As you can see, the purchases are still denominated in Japanese Yen. If you aren’t a Yen user, you can also use fundamental cryptocurrencies like Bitcoin and Factom to trade for other currencies. You can see the coins supported at the top of the page. There’s also live chat in Japanese. We’re not going to lie, guys, the Coincheck hack was a huge dumpster fire. $530 million in stolen currencies is a catastrophic loss, even for much larger financial companies. It’s unclear whether Coincheck will be able to make this right. We’ll have to see. But for now, why did this hack even occur? Coincheck is not a rookie company, but they made a rookie mistake which led to this attack. The affected coins were stored in a hot wallet. This means that the coins were online, where any hacker worth their salt could break in and steal them. To many analysts (and us as well), this was definitely a hack waiting to happen. This mistake is so significant because most individual crypto traders know that hot wallets are dangerous. This is why cold wallets and hardware wallets like the Ledger Nano S have become so popular. Your $80 Nano S was more secure than one of Japan’s largest cryptocurrency exchanges. Let that one sink in. So what do we do now? If you are a current/former Coincheck user, we suggest you proceed with caution. Consider removing all holdings from Coincheck until the dust settles. We’ll learn much from how Coincheck handles this issue in the coming weeks. What Does Coincheck Have to Do to Win Back Our Trust? No one knows exactly what’s going on with Coincheck exchange, but this does not mean Coincheck won’t bounce back. Japan still needs its services, and many international investors have relied upon it as well. In its good days, Coincheck was a great platform and Coincheck fees were low, especially for Japan. So what can Coincheck do to earn our trust once more? Submit to Regulation and Audit. Japan’s regulatory structure for cryptocurrency and cryptocurrency exchanges is fairly shaky. It’s so shaky, in fact, that Japan’s exchange have banded together to form a self-regulatory body. They’ve formally chided Coincheck and demanded that the company improve its security significantly. Coincheck has received similar admonitions for Japan’s chief financial body. When Coincheck does improve their situation, they should get a technology audit from an independent company so that users can trust that necessary changes have been implemented, and that their currency will be safe on Coincheck. Massively Improve Security Standards. The mistake that affected Coincheck NEM users (and Coincheck XEM/Coincheck Ripple) was stunningly careless, for many unforgivable. There are numerous multi-layer and third party security measures Coincheck can employ to beef up security. These are well known and already used by countless other exchanges. Refund Every Lost Coin. Believe it or not, it’s hard for a financial company like this to spare half a billion dollars to repay investors. But this is the task Coincheck has committed itself to, and the one they must complete in order to legitimize its business. We could name other requirements, but these are the most basic. Until we can verify that Coincheck has dealt with these issues, it would be better to take your business elsewhere, to somewhere like Binance, for instance. Coincheck fees are also very much up in the air. Here is a list of Coincheck’s fees up till this point. However, there has been rumor of massive discounts to gain back user confidence. If you are a Coincheck user, we’re interested to hear what you’re paying in fees right now. The highlights of the Coincheck fee model include a $25 charge for USD deposits (Yen is free), and low 0.04% and 0.05% swap charges for long and short positions. Coincheck has apps for both Apple and Android. And while the app is called a “wallet”, it also has trading functionality. Of course, the app suffers the same setbacks as the desktop platform, so users who are confident in the one should be confident in the other. Both apps work well, look great, and are generally very well reviewed by users. Both versions of the app are free. We’ve tried to be very forthcoming about our feelings about Coincheck exchange. We have nothing against this exchange or the people who run it, but the loss of hundreds of millions in user currency is inexcusable. 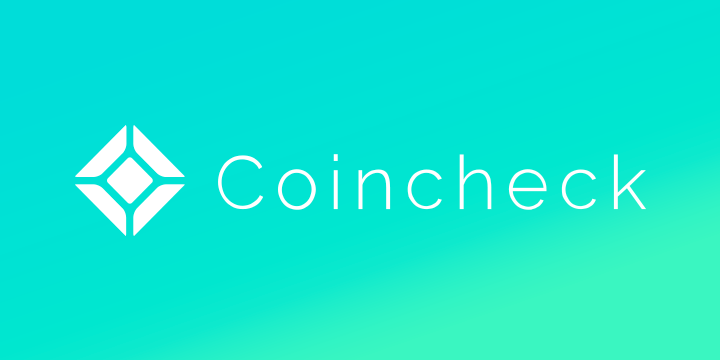 Our team resides in America and Great Britain, so we’ve never had reason to try Coincheck exchange for personal investing, but this event certainly hasn’t made us want to try. Nonetheless, all of this trouble doesn’t mean that Coincheck won’t recover and become the model exchange we all want it to be. The recent acquisition suggests a change in management, and you can bet that any new owner will be very eager to closely inspect the remediation measures employed by Coincheck. Whatever the future holds, Coincheck has the makings of a great exchange. Their fiat onramp services and low fees are very useful, especially for Japanese nationals. We hope that this is a learning experience and that Coincheck recovers and climbs to new heights in service and security.